Two sad things we find here, but not strange things:—1. 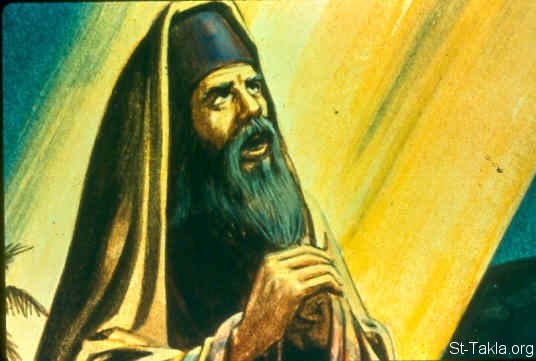 A good and useful man growing old and unfit for service (v. 1): Samuel was old, and could not judge Israel, as he had done. He is not reckoned to be past sixty years of age now, perhaps not so much; but he was a man betimes, was full of thoughts and cared when he was a child, which perhaps hastened the infirmities of age upon him. The fruits that are the first ripe keep the worst. He had spent his strength and spirits in the fatigue of public business, and now, if he think to shake himself as at other times, he finds he is mistaken: old age has cut his hair. Those that are in the prime of their time ought to be busy in doing the work of life: for, as they go into years, they will find themselves less disposed to it and less able for it. 2. The children of a good man turning aside, and not treading in his steps. 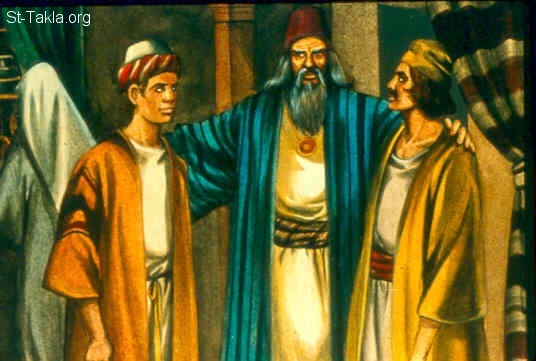 Samuel had given his sons so good an education, and they had given him such good hopes of their doing well, and gained such a reputation in Israel, that he made them judges, assistants to him awhile, and afterwards deputies under him at Beer-sheba, which lay remote from Ramah, v. 2. Probably the southern countries petitioned for their residence there, that they might not be necessitated to travel far with their causes. 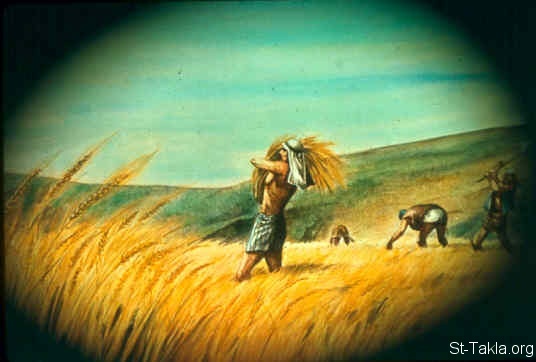 We have reason to think that Samuel gave them their commissions, not because they were his sons (he had no ambition to entail the government upon his family, any more than Gideon had), but because, for aught that yet appeared, they were men very fit for the trust; and none so proper to ease the aged judge, and take some of the burden off him, as (cوteris paribus—other things being equal) his own sons, who no doubt were respected for their good father's sake, and, having such an advantage at setting out, might soon have been great if they had but been good. But, alas! his sons walked not in his ways (v. 3), and, when their character was the reverse of his, their relation to so good a man, which otherwise would have been their honour, was really their disgrace. Degeneranti genus opprobrium—A good extraction is a reproach to him that degenerates from it. Note, Those that have the most grace themselves cannot give grace to their children. It has often been the grief of good men to see their posterity, instead of treading in their steps, trampling upon them, and, as Job speaks, marring their path. Nay, many that have begun well, promised fair, and set out in the right path, so that their parents and friends have had great hopes of them, yet afterwards have turned aside to by-paths, and been the grief of those of whom they should have been the joy. When Samuel's sons were made judges, and settled at a distance from him, then they discovered themselves. Thus, (1.) Many that have been well educated, and have conducted themselves well while they were under their parents' eye, when they have gone abroad into the world and set up for themselves have proved bad. Let none therefore be secure either of themselves or theirs, but depend on divine grace. (2.) Many that have done well in a state of meanness and subjection have been spoiled by preferment and power. Honours change men's minds, and too often for the worse. It does not appear that Samuel's sons were so profane and vicious as Eli's sons; but, whatever they were in other respects, they were corrupt judges, they turned aside after lucre, after the mammon of unrighteousness, so the Chaldee reads it. Note, The love of money is the root of all evil. It is pernicious in any, but especially in judges. 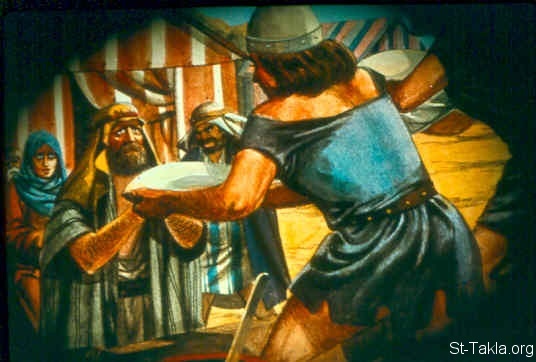 Samuel had taken no bribes (ch. xii. 3), but his sons had, though, no doubt, he warned them against it when he made them judges; and then they perverted judgment. In determining controversies, they had an eye to the bribe, not to the law, and enquired who bid highest, not who had right on his side. It is sad with a people when the public justice that should do them right, being perverted, does them the greatest wrong. 2. A petition for the redress of these grievances, by setting a king over them: Make us a king to judge us like all the nations. Thus far it was well, that they did not rise up in rebellion against Samuel and set up a king for themselves, vi et armis—by force; but they applied to Samuel, God's prophet, and humbly begged of him to do it. But it appears by what follows that it was an evil proposal and ill made, and was displeasing to God. God designed them a king, a man after his own heart, when Samuel was dead; but they would anticipate God's counsel, and would have one now that Samuel was old. They had a prophet to judge them, that had immediate correspondence with heaven, and therein they were great and happy above any nation, none having God so nigh unto them as they had, Deut. iv. 7. But this would not serve; they must have a king to judge them with external pomp and power, like all the nations. A poor prophet in a mantle, though conversant in the visions of the Almighty, looked mean in the eyes of those who judged by outward appearance; but a king in a purple robe, with his guards and officers of state, would look great: and such a one they must have. They knew it was in vain to court Samuel to take upon him the title and dignity of a king, but he must appoint them one. They do not say, "Give us a king that is wise and good, and will judge better than thy sons do," but, "Give us a king," any body that will but make a figure. Thus foolishly did they forsake their own mercies, and, under pretence of advancing the dignity of their nation to that of their neighbours, did really thrust themselves down from their own excellency, and profane their crown by casting it to the ground. IV. Samuel's faithful delivery of God's mind to them, v. 10. 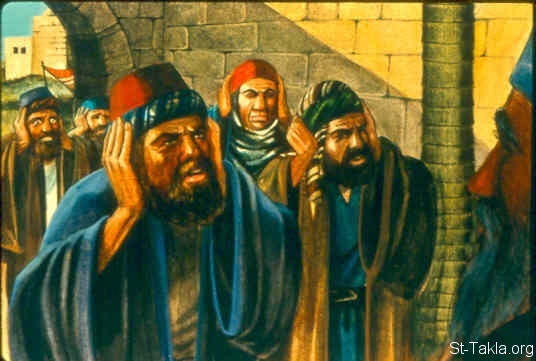 He told them all the words of the Lord, how ill he resented it, that he construed it a rejecting of him, and compared it with their serving other gods,—that he would grant their request if they insisted on it, but withal had ordered him to represent to them the certain consequences of their choice, that they would be such that if they had any reason left them, and would allow themselves to consult their own interest, they would withdraw their petition, and beg to continue as they were. Accordingly he lays before them, very particularly, what would be, not the right of a king in general, but the manner of the king that should reign over them, according to the pattern of the nations, v. 11. Samuel does not speak (as bishop Patrick expounds it) of a just and honest right of a king to do these things, for his right is quite otherwise described in that part of Moses's law which concerns the king's duty, but such a right as the kings of the nations had then acquired. This shall be the manner of the king, that is, "thus he must support his dignity at the expense of that which is dearest to you, and thus he will abuse his power, as those that have power are apt to do; and, having the militia in his hand, you will be under a necessity of submitting to him." V. The people's obstinacy in their demand, v. 19, 20. 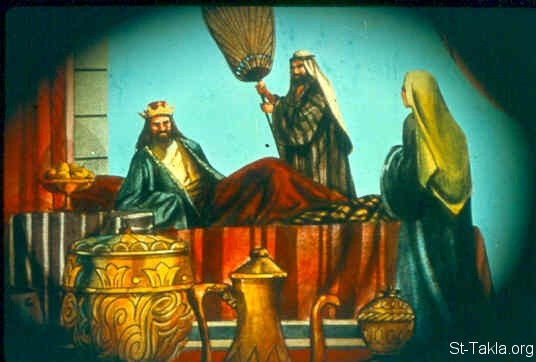 One would think such a representation of the consequences as this was, coming from God himself, who can neither deceive by his word nor be deceived in his knowledge, should have prevailed with them to waive their request: but their hearts were upon it, right or wrong, good or evil: "We will have a king over us, whatever God or Samuel say to the contrary; we will have a king, whatever it cost us, and whatever inconvenience we bring upon ourselves or our posterity by it." See their folly. 1. They were quite deaf to reason and blind to their own interest. They could not answer Samuel's arguments against it, nor deny the force of them, and yet they grow more violent in their request, and more insolent, and you can find more about that here on st-takla.org on other commentaries and dictionary entries. Before it was, "Pray, make us a king;" now it is, "Nay, but we will have a king; yea, that we will, because we will; nor will we bear to have any thing said against it." See the absurdity of inordinate desires, and how they rob men of their reason. 2. They could not stay God's time. God had intimated to them in the law that, in due time, Israel should have a king (Deut. xvii. 14, 15), and perhaps they had some intimation that the time was at hand; but they are all in haste: "We, in our day, will have this king over us." Could they but have waited ten or twelve years longer they would have had David, a king of God's giving in mercy, and all the calamities that attended the setting up of Saul would have been prevented. Sudden resolves and hasty desires make work for a long and leisurely repentance. 3. That which they aimed at in desiring a king was not only, as before, that they might be like the nations, and levelled with the one above whom God had so far advanced them, but that they might have one to judge them, and to go out before them when they took the field, and to fight their battles. Foolish people and unwise! Could they ever desire a battle better fought for them that the last was, by Samuel's prayer and God's thunder? ch. vii. 10. Was victory hereby too sure to them? And were they fond of trying the chance of war at the same uncertainty that others did? So sick, it seems, were they of their privileges: and what was the issue? 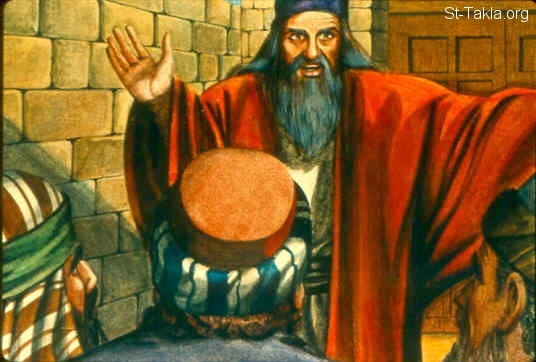 Their first king was slain in a battle, which none of their judges ever were; so was Josiah, one of the last and best.